Happy Wednesday to you all! We’re halfway through the week and Halloween is just around the corner. As some of you may remember, it’s been a tradition of mine since Grace was old enough to “Trick or Treat” that on Halloween, I always make chili and cornbread before we go out into the cold, damp, and dark nights begging for candy from strangers neighbors. If some of you don’t have a pre-Halloween tradition or aren’t sure what to serve for dinner that night, I’m here to help you out! 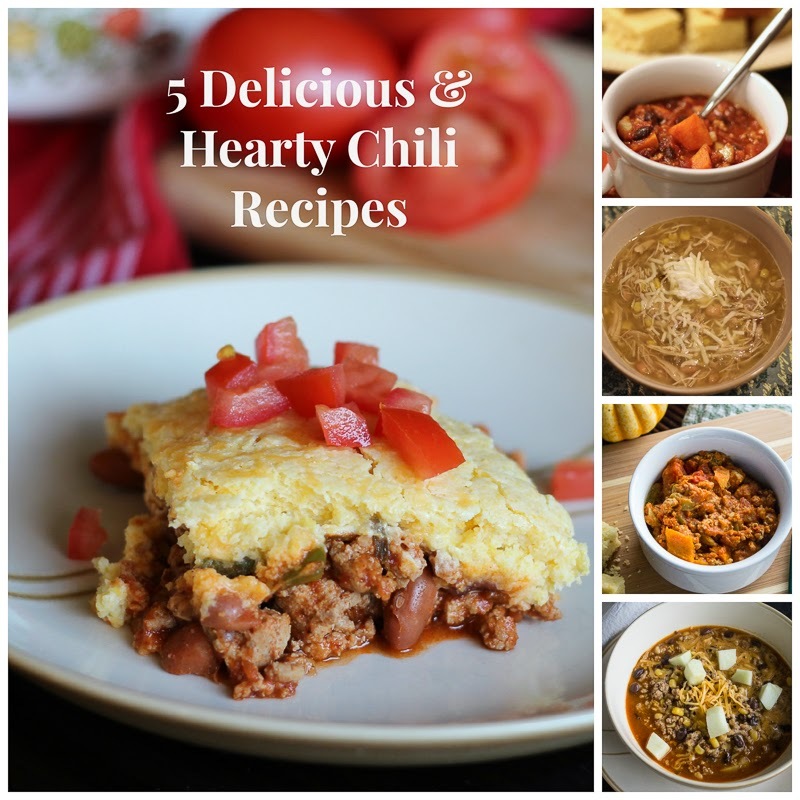 Here are the 5 Chili recipes I have on my blog to help you out!